Santa Barbara is filled with world-class artisans in the skilled trades — from welders and glassmakers to stonemasons and cabinetmakers, just to name a handful. Over the years, Giffin & Crane has made it a point to work with these fine craftspeople, to introduce them to our clients so that homebuilding designs and wishlists can evolve from idea to reality. Many of our clients possess the resources to hire highly specialized tradespeople from around the world. Sometimes they do. But more often than not, they work with us to draw from Santa Barbara’s incredible pool of creative talent. Both parties benefit — artisans get to apply and hone their skills on challenging projects, and the homeowners receive a custom product that can be found nowhere else on Earth. About 10 years ago, for instance, we had the pleasure of working with a newly married couple relocating to Santa Barbara from the Midwest. 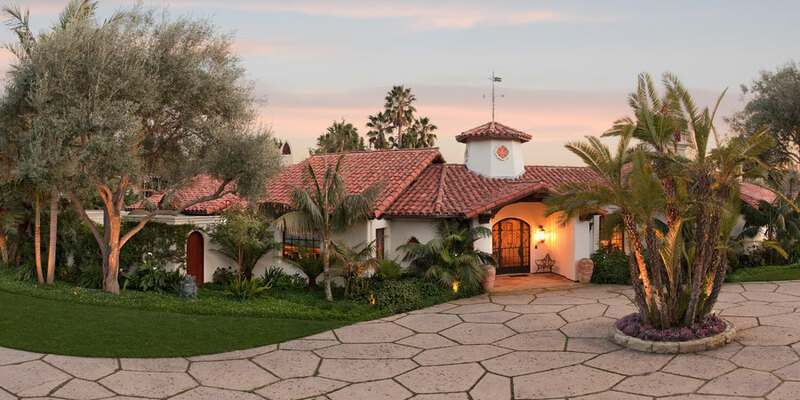 They purchased a Montecito home with a classic craftsman design highlighted with hacienda stylings (pictured above). The home’s roomy layout offered plenty of space for the owners’ extensive art and furniture collection, but its age — about 70 years old — was starting to show, especially on its original sandstone foundation and structural beamwork, much of which had been poorly fastened to begin with. In California’s earthquake country, that’s an issue. Stabilizing the building — with engineer Thom Hume running point — was just the first round of a comprehensive remodel. Once that was complete, we opened the front door to a group of artisans, including but not limited to welder Gerry Endeman of Elephant Iron, cabinetmaker Charlie Starbuck of Starbuck Minikin, bronze and metalworker Phil Brainard, glass-artist Brian McNally, and the stonemasons at Da Ros Masonry. The owners — both of them art aficionados — appreciated the creative energy our team subcontractors brought to the project’s finishing touches. The home itself became a piece of art, thanks to details handcrafted by some of Santa Barbara’s finest.